There are many things visitors should do while in Italy, from taking in this country’s enormous wealth of art and architecture (did you know that Italy is home to the largest number of UNESCO World Heritage sites and roughly half the world’s artistic treasures?) to rubbing elbows with the locals at the morning markets to simply slowing their travel pace and adopting—at least temporarily—the joie de vivre that Italy does best. There is one thing, however, that visitors should absolutely not do while in Italy, and that one thing is diet. Though touted as one of the world’s healthiest, the Mediterranean diet with its staples of pasta, olive oil, wine, and gelato is not friendly to anyone’s waistline after a couple of weeks of holiday over-indulging. That said, the quality that has made Italy’s cuisine one of the world’s most beloved more than makes up for the few extra pounds that enthusiastic sampling is likely to bring. Ricotta is perhaps one of the most recognized of Italian cheeses. Mild and soft, it is made from the leftover whey from other cheese (most often cow or sheep) and commonly found across Italy. Often used as a filling in ravioli or other baked pasta dishes, a mound of these sweet, fresh curds can also be served topped with a swirl of local honey as a simple but divine dessert. One of the most perishable of fresh cheeses, ricotta should always be consumed within a day or two of production. 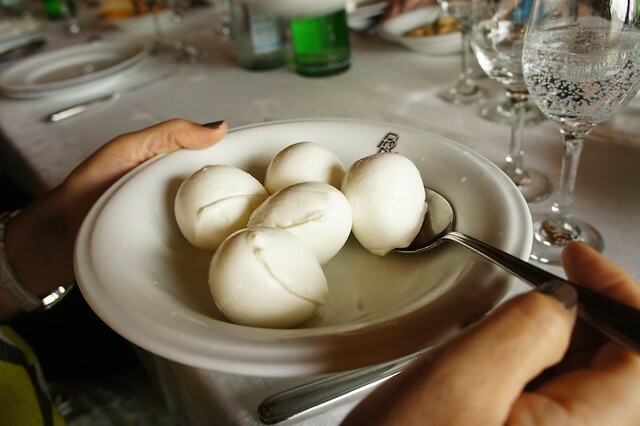 Though most Italian cheeses are made from either cow or sheep milk, one important exception is Mozzarella di Bufala. This sweet but flavorful moist cheese is made from the milk of the water buffalo almost exclusively in a precise area near Naples (though there are odd producers in Abruzzo and further north). Meltingly soft and buttery, its uniquely delicate flavor and texture is best savored with very little adornment: a caprese salad of fresh tomato slices, basil, a swirl of excellent olive oil, and a pinch of salt is all this cheese needs. Burrata has become all the rage, and is one of the richest of Italy’s fresh cheeses. This round, soft cheese is formed with an outer coat of firm mozzarella. Once you slice into the baseball-sized pouch, however, a thick, rich mixture of mozzarella and cream ooze out from the center, telling you that you’d better renew that gym membership when you get back home. 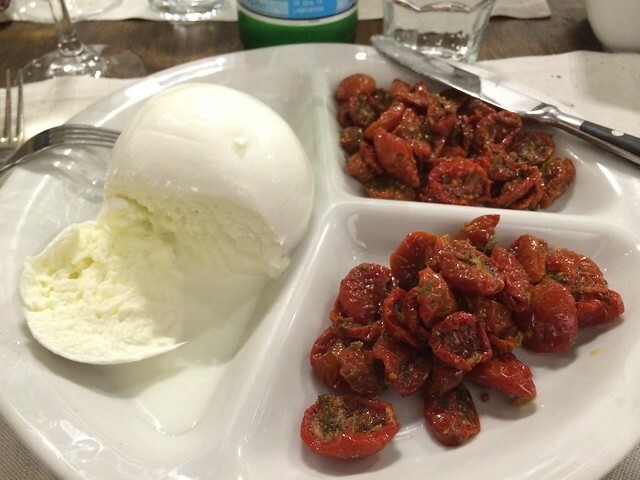 Burrata originates from Puglia, but its popularity has made it more common across Italy. 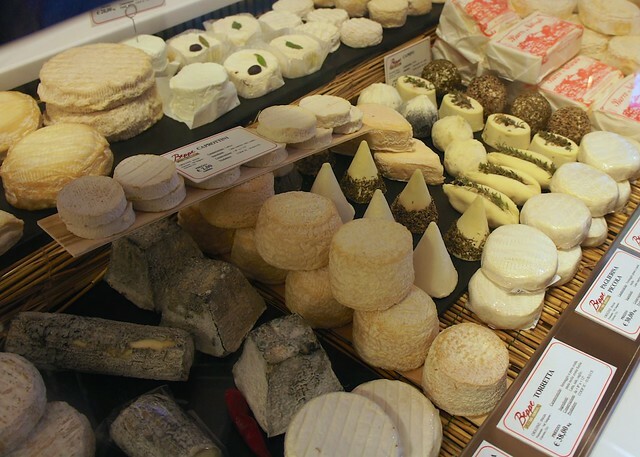 Tweetable: Leave the diet back at home and indulge in one (or three) of Italy’s fabulous cheeses. Pecorino is a blanket term for any cheese made with sheep (pecora) milk, and the number and variety of pecorini found across Italy is formidable. This cheese can be aged anywhere from a few weeks for a softer, milder version to over a year, resulting in a hard and tangy cheese suitable for grating atop savory dishes (the most famous of aged pecorini is Pecorino Romano). 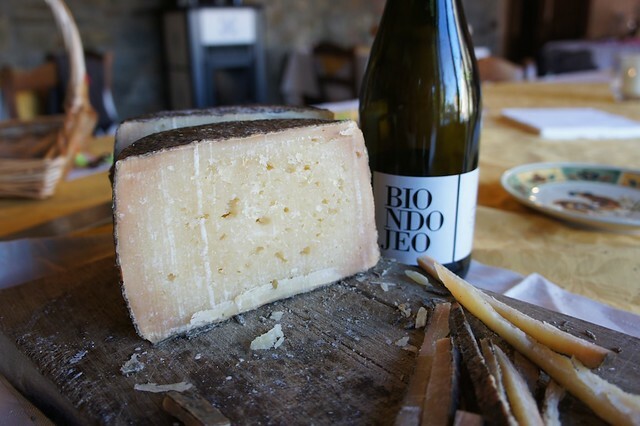 Historically a poor man’s cheese, pecorino retains its simple, straightforward air and is a commonly served cut into wedges or cubes as part of a rustic appetizer or, for the harder, aged varieties, paired with fresh, raw fava beans eaten directly from the pod. 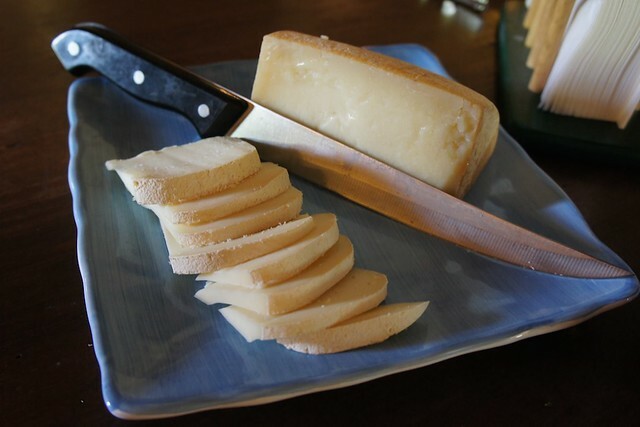 For the daring, Pecorino di Fossa is a particularly “fragrant” variety, which picks up its uniquely assertive odor and flavor from the underground pits in which it is aged. If pecorino is Italy’s workaday cheese, Gorgonzola is its nobleman. This blue cheese comes in two varieties: the mellow dolce, creamy and rich, and the aged piccante, crumbly and intense. Originating in the Lombard town of Gorgonzola, this cheese once picked up its blue marbling naturally from the penicillum which inhabited the local caves. Today Gorgonzola is helped along with injected instigator mold, and the resulting cheese is sharp and peppery, pairing perfectly with sweet walnuts or pears. Tweetable: Want to pair your Italian cheese with fruit? Try Fontina or Gorgonzola. 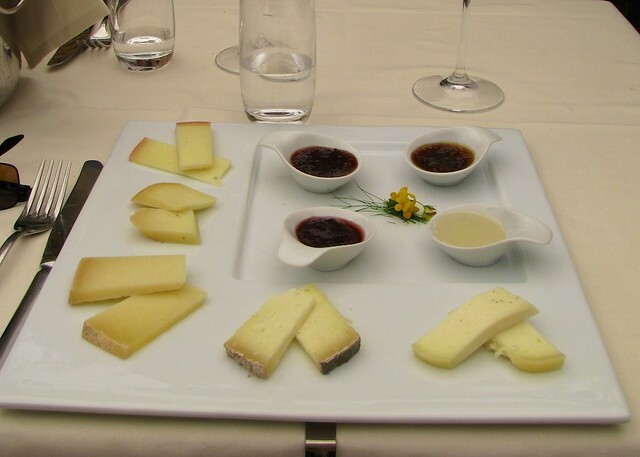 Taleggio is one of the most beloved cheeses in Italy’s north, and its birthplace is the northern region of Lombardy. Its strong odor (resulting from a brine bath which leaves the rind tacky, orange, and rank) belies the smooth, balanced cheese inside, which acquires a brie-like texture as it nears room temperature. The best taleggio has a complex, nutty flavor and is excellent melted on a steaming plate of polenta or simply spread on crusty bread. 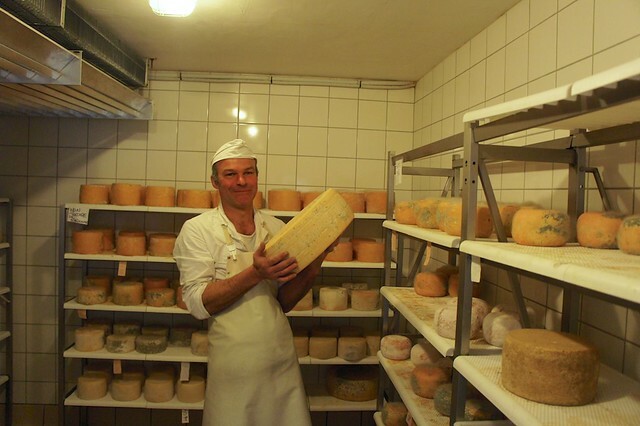 Asiago is another cheese that may sound familiar to visitors, as it can now be found far beyond its original boundaries of the Alpine pastures between the Asiago Plateau and the slopes of Trentino’s Dolomite mountains which have been home to herds of pasturing cattle for centuries. Aged anywhere from a few weeks to a year, this is a user-friendly cheese: mild, soft (for younger cheeses) or hard (for aged varieties), but never too sharp to enjoy as a snack. 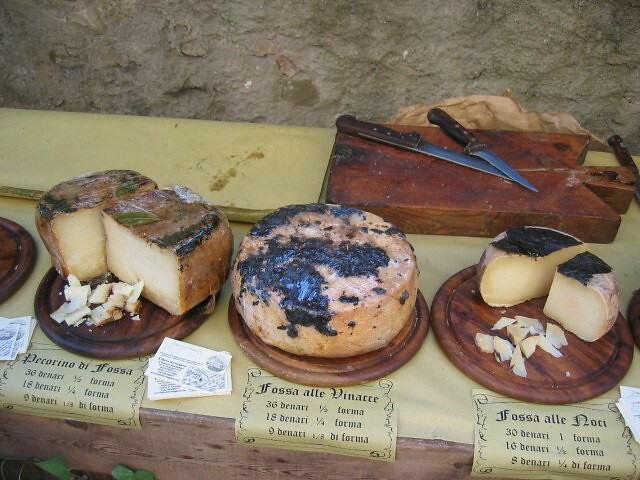 Produced along a vast stretch of Emilia-Romagna (home to two of Italy’s most recognized aged cheeses, below), Fontina (or Fontina d’Aosta) is made from the raw milk of the cattle herds pasturing the picturesque Val d’Aosta in the Italian Alps and the resulting wheels—aged just a few months—are firm and springy and surprisingly complex in flavor. The fruity, grassy flavor is perfect paired with sweet fruit or [salty charcuterie](http://www.ciuitaly.com/blog/files/italy-best-cold-cuts-prosciutto.php) or as the base for the traditional Piedmontese fonduta, a rich fondue served with crusty bread. 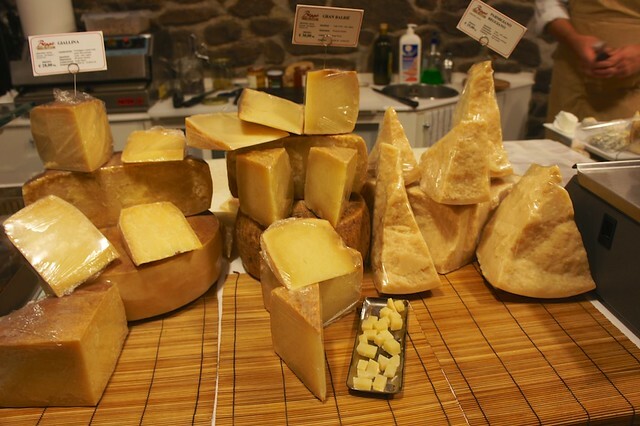 The region of Emilia-Romagna is home to two of Italy’s great aged cheeses. 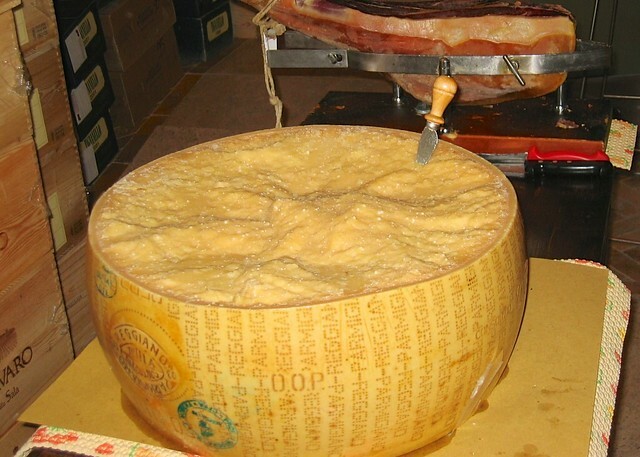 The first, Grana Padano, is one of Italy’s oldest, first produced almost 900 years ago by the Cistercian monks near Milan. Aged up to two years, this hard cheese gets its name from its unique grainy texture (la grana) and is made from partly skimmed cow milk and ripened slowly. Though a close cousin of Parmigiano Reggiano, Grana Padano is generally milder, more compact, and simpler in flavor. The king of all Italian cheeses, Parmigiano Reggiano, also hails from Emilia-Romagna (including the area near Parma, hence the name). If you grew up shaking Kraft Parmesan out of a green canister, your first taste of real Parmigiano is somewhat of an epiphany. This DOP cheese is made from cow milk and aged at least a year in iconic 100 pound wheels in high-security aging and storing houses (such is the value of this carefully produced cheese). 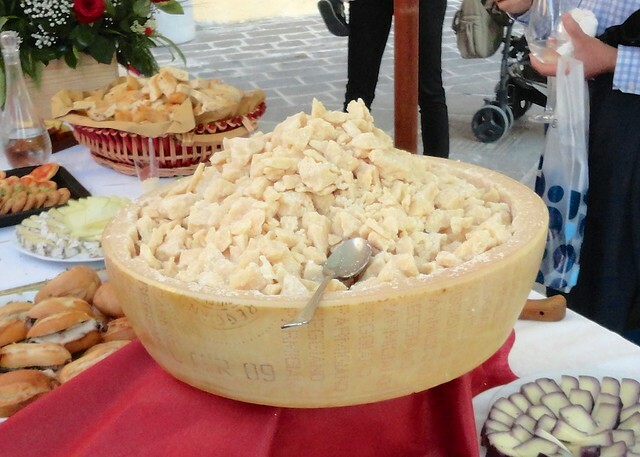 Most often grated over pasta or shaved over vegetables, Parmigiano is one of the few foods which adds the “fifth taste”, umami, to foods, which may be the key to its universal popularity.